A total of 74 Yemenis have been flown to India to receive treatment for their injuries. UAE has teamed up with India to provide medical care and humanitarian assistance to the Yemeni soldiers and civilians who have been injured in the ongoing civil war. The UAE Embassy has already completed the necessary preparations to receive the patients and transport them to the hospitals so that they can receive the highest level of treatment in India. 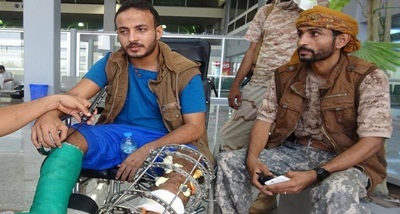 The Yemenis were allegedly injured in attacks carried out by the Iranian Houthi militias. State run news agency WAM said that the expenses for the medical treatment will be borne by the UAE. Soldiers and civilians with major injuries were evacuated and flown to Delhi in specially fitted aircraft.